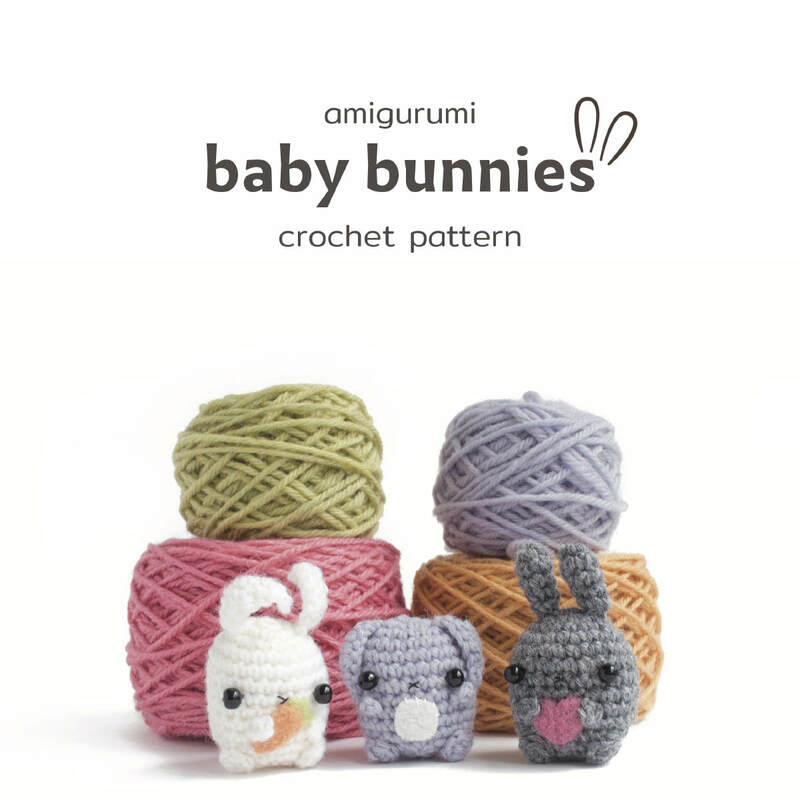 A downloadable crochet pattern, with instructions to make your own amigurumi bunnies. The pdf file includes a written crochet pattern (US crochet terms), as well as crochet charts. There are detailed assembly instructions, lots of photos, and ideas for adding your own little details. You will need to know how to crochet in the round, and make basic crochet stitches. 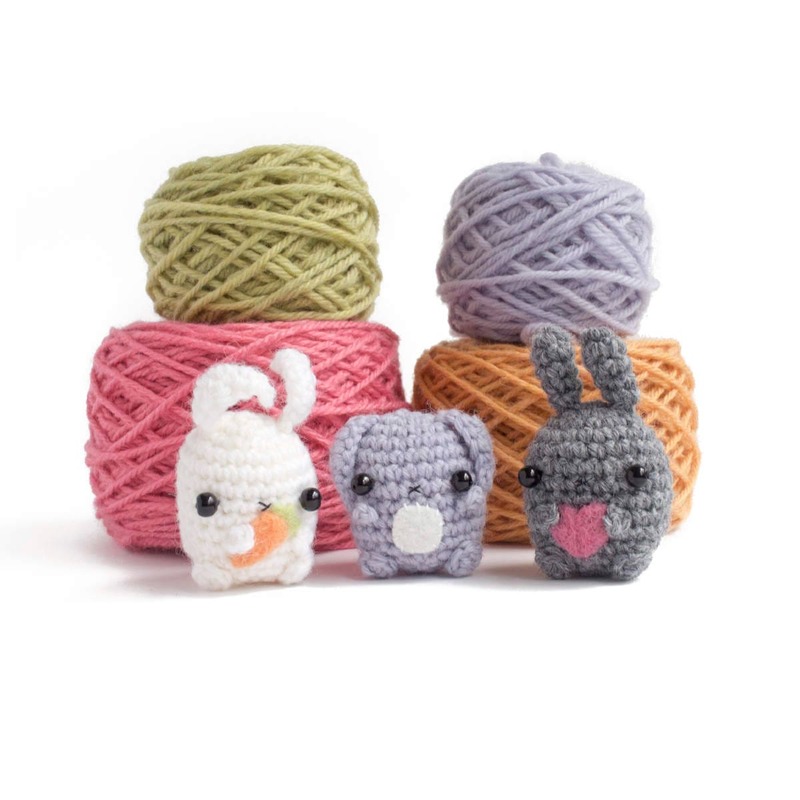 These techniques are taught in the beginner's crochet guide, included in your purchase. 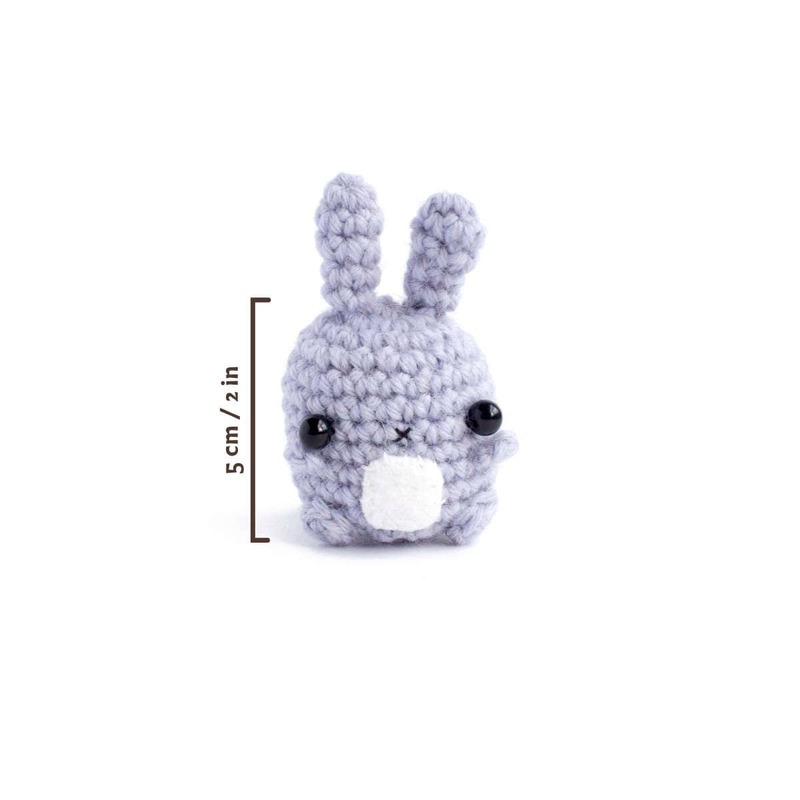 Using medium (worsted) weight yarn and a 3.5 mm (E) crochet hook, your bunny's body should be about 5 cm / 2" tall. 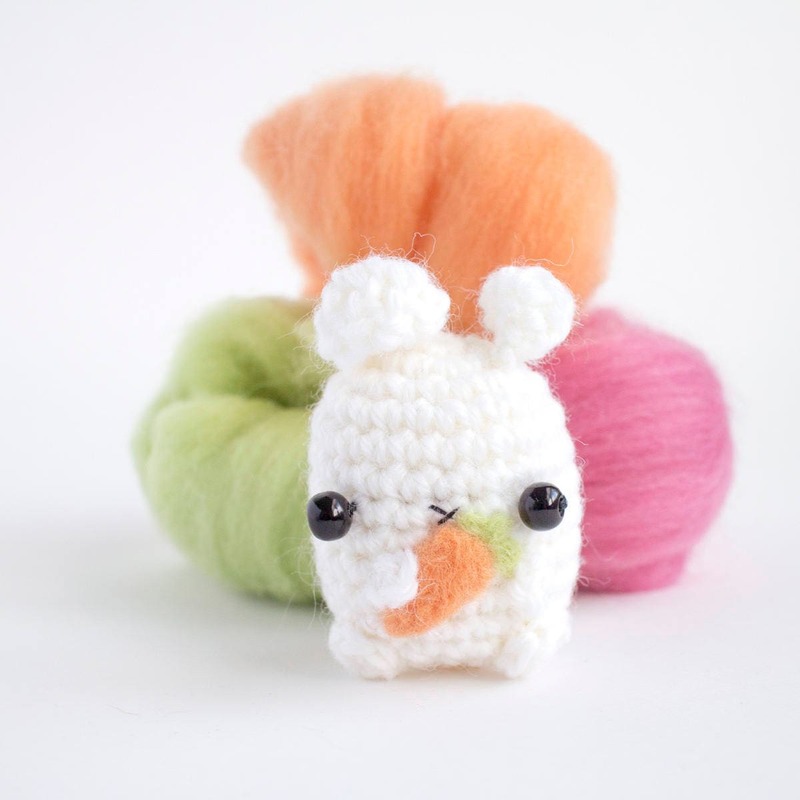 You can adjust the size by using thicker or thinner yarn. 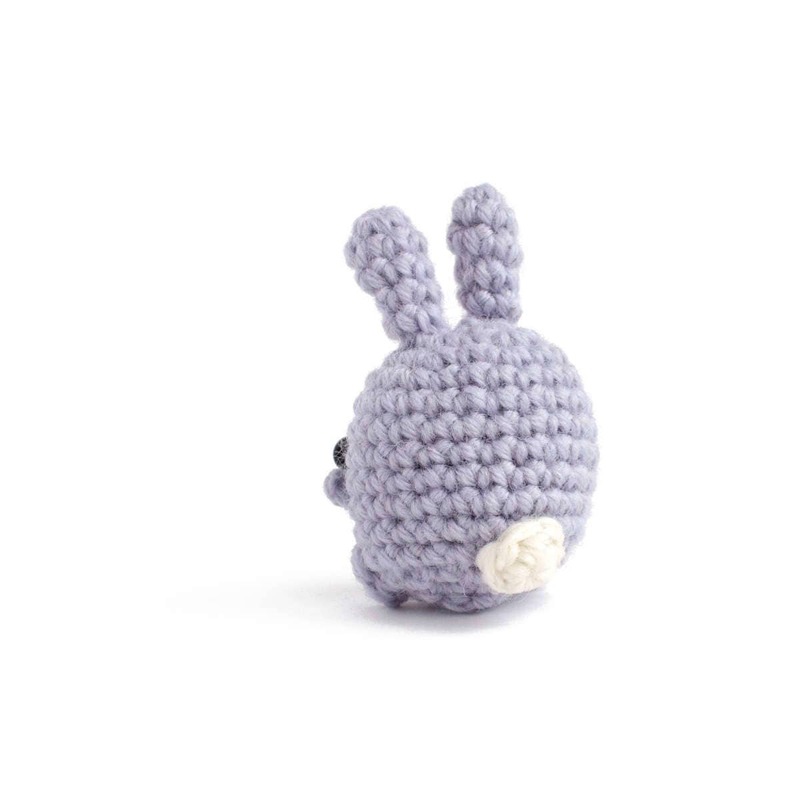 Downloading your pattern: Once your payment is processed, you'll be able to download the pattern immediately from your Etsy account. Feel free to contact me if you need any help. Super easy to follow! Loved it! Very clear pattern, easy to follow. Thank you!